A UN Population Fund's annual report has said that global access to contraception could save the world $5.7 billion in health care costs. "Family planning is not a privilege, but a right. Yet, too many women -- and men -- are denied this human right," said Babatunde Osotimehin, executive director of the UN Population Fund (UNFPA). "Women who use contraception are generally healthier, better educated, more empowered in their households and communities and more economically productive," Osotimehin added. He described contraception as "one of the most effective means of empowering women". 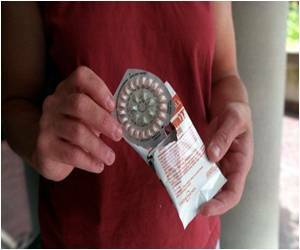 Some 222 million women currently have insufficient access to contraceptives, the report estimates. It described "an array of economic benefits" created by family planning, including a rise in the number of women in the workforce and wealthier households as the number of children in each home decreases. It cited one study that attributed a third of the growth in the Asian "tiger" economies to increased use of contraceptives, which caused a drop in the number of children dependent on every working adult. If an additional 120 million women who want contraceptives could get them by 2020, the report added, an estimated three million fewer babies would die in their first year of life. "Family planning delivers immeasurable rewards to women, families, and communities around the world," the UNFPA said. The report said that access to family planning was a "fundamental human right" that governments have an obligation to protect.